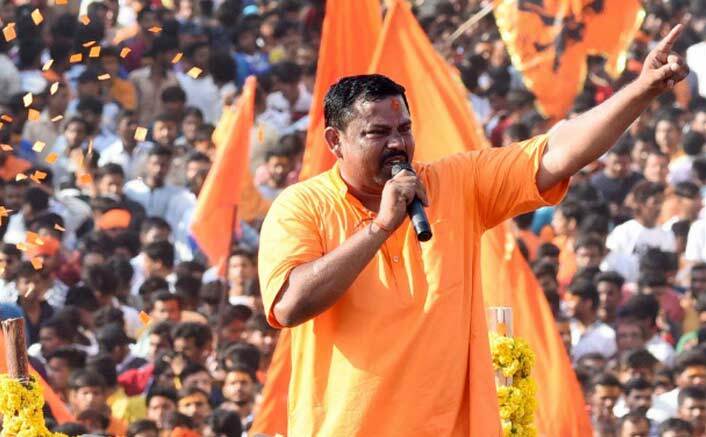 Telangana’s lone BJP MLA Raja Singh landed himself in embarrassment after the Pakistan Army accused him of copying their song but he stood defiant saying he did not have to copy anything from a “terrorist state”.“Good to see even #Pakistan media is covering my song #HindustanZindabad. I’m more surprised that even a terrorist nation produces singers. #Pakistani singer’s may have copied my song, we don’t have to copy anything from a terrorist state like Pakistan,” Singh said in a tweet. BJP MLA Raja Singh: “We Don’t Have To Copy Anything From A Terrorist State Like Pakistan”Spokesperson of the Pakistan Armed Forces, Major General Asif Ghafoor, who in his tweet on Sunday had accused the BJP legislator of copying the song, responded to Singh on Monday, saying: “Pakistani media isn’t covering the ‘so called’ song. In rest of the world, this is called something else…”“Glad that you copied. But copy to speak the truth as well. #PakistanZindabad,” Asif Ghafoor had earlier tweeted from his personal handle, ridiculing the MLA for replacing ‘Pakistan Zindabad’ in the song with ‘Hindustan Zindabad’. The post BJP MLA Raja Singh: “We Don’t Have To Copy Anything From A Terrorist State Like Pakistan” appeared first on Koimoi.